Not that anyone is complaining, mind you! 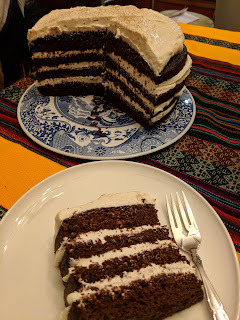 I was going to make a Boston Cream Pie for my husband like last year, but then I saw this recipe for a Guinness cake with frosting that is flavored both with whiskey and Irish Cream. It looked like fun and I'm happy to report it IS fun to make! 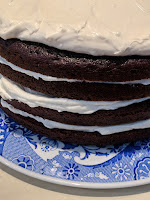 Yesterday I made the cake part, which went smoothly. Each layer was wrapped and refrigerated until today. Once I made the frostings, I split the cake layers (my husband was very impressed with the evenness, thank you, culinary school!) 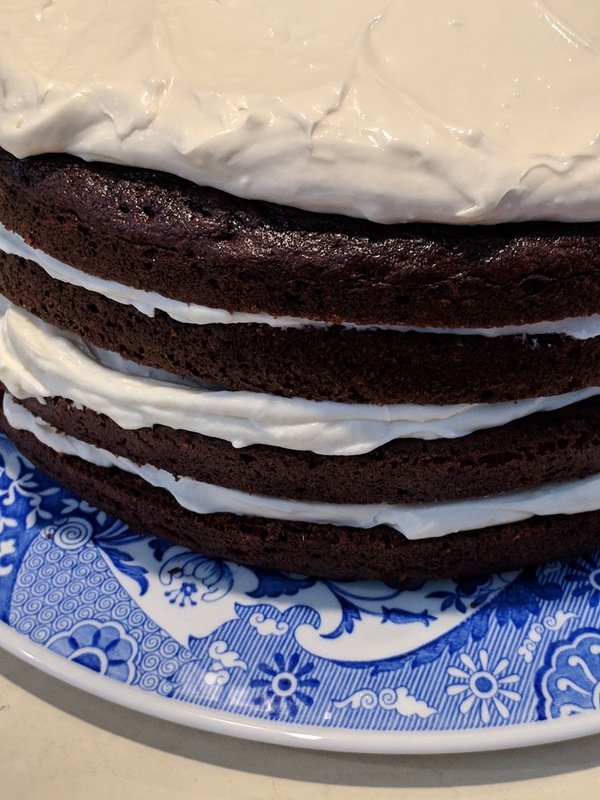 and assembled the cake. I know the recipe says to serve immediately, but I have other things I have to do for dinner that are more time sensitive than this, so this can wait in the fridge until after dinner. I will sprinkle the top with cocoa before I serve it.